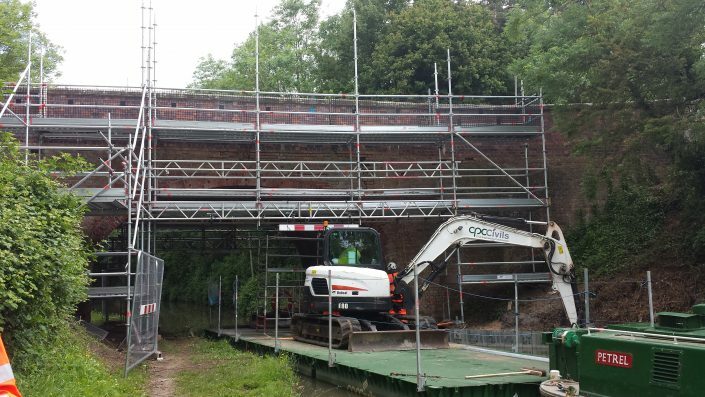 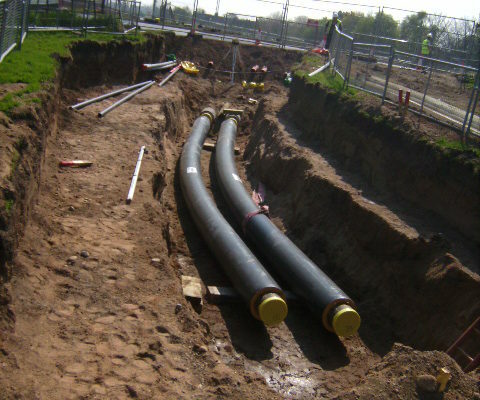 Installation of a multi service corridor plus deep drainage and substations for power a network. 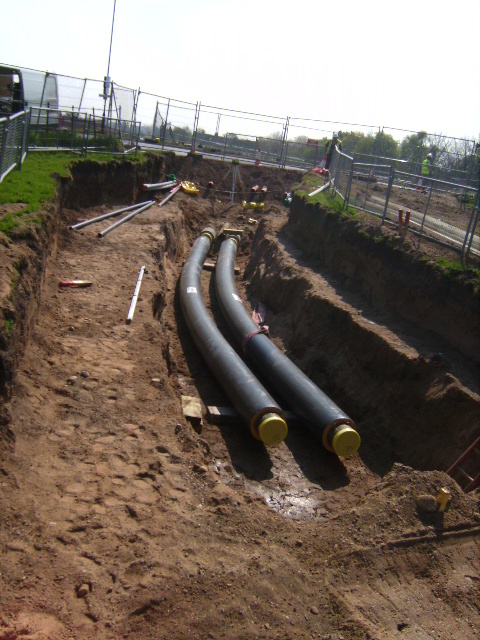 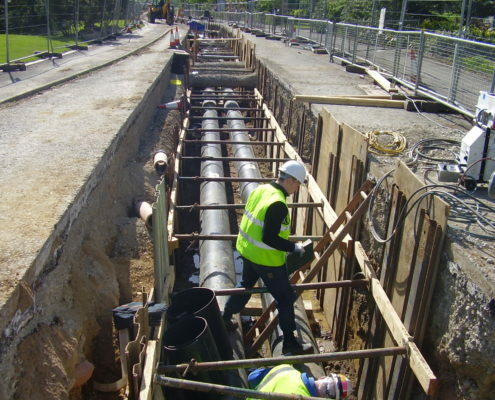 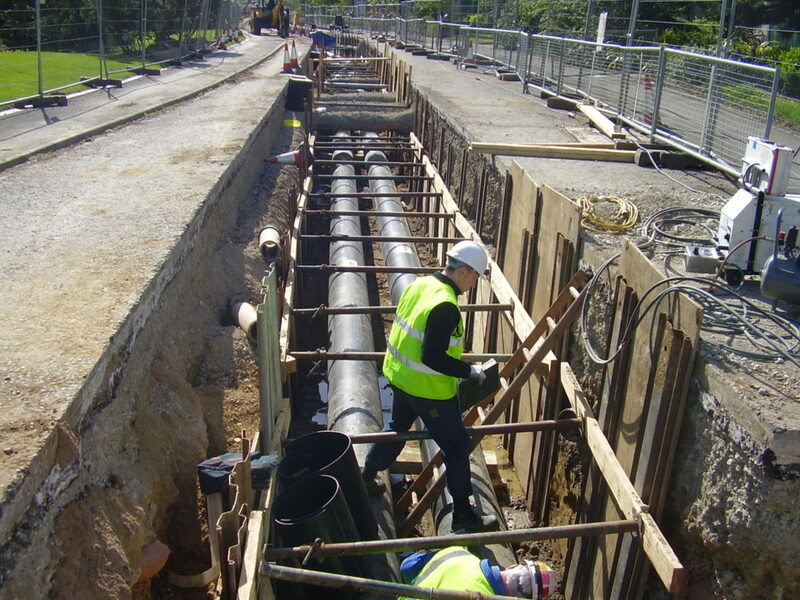 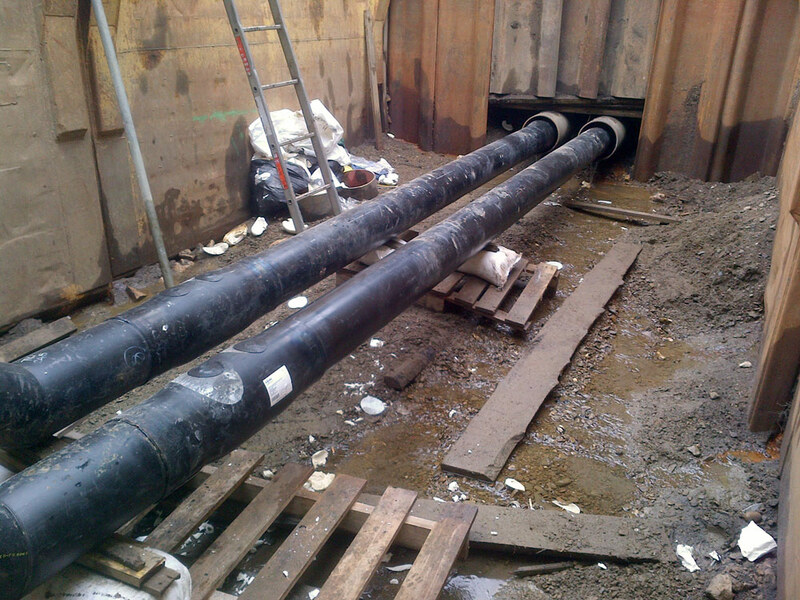 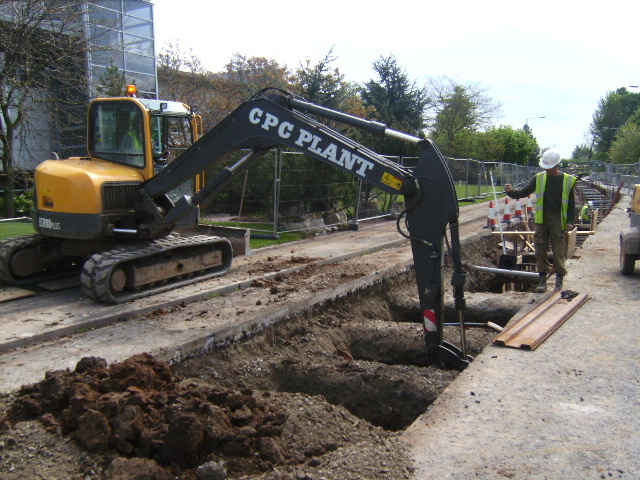 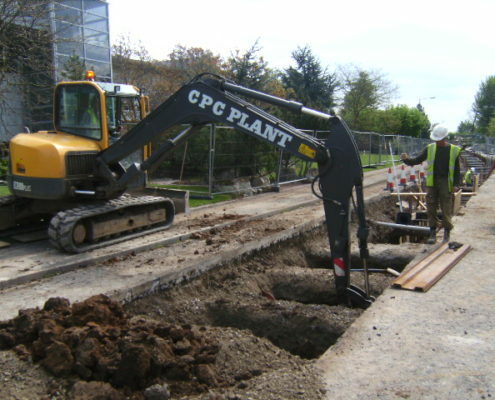 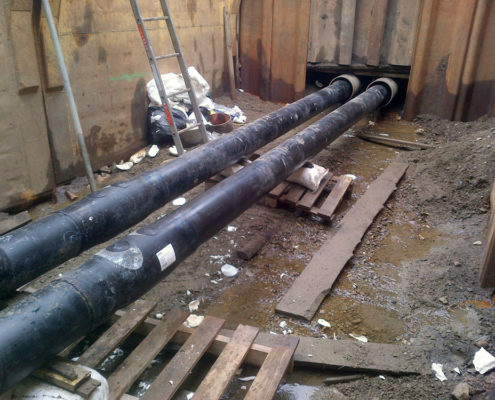 Through 2012 CPC worked with Vital Energi to install another 2500m of buried heating mains, water main and gas mains for the infrastructure for the new cluster 2/4 at Heslington campus, York. 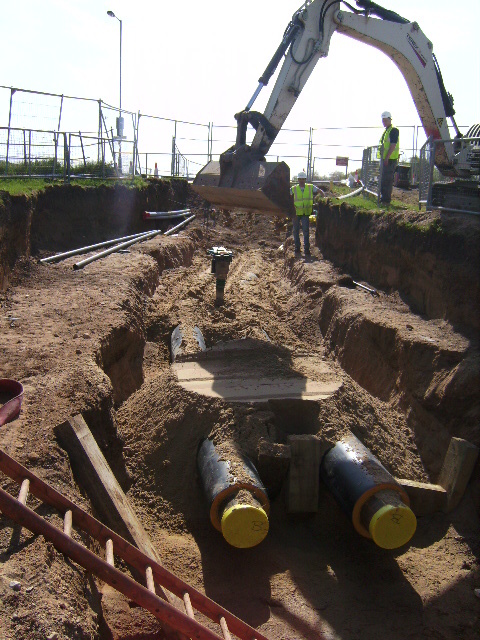 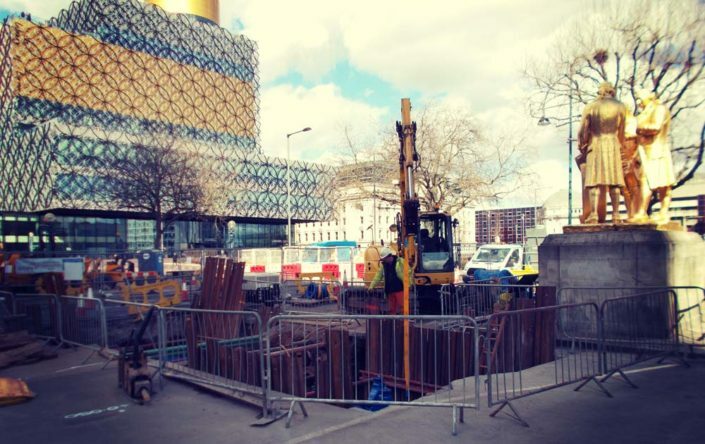 In addition LV, HV and comms ducts and cables were installed as well as around 250 No draw pits. 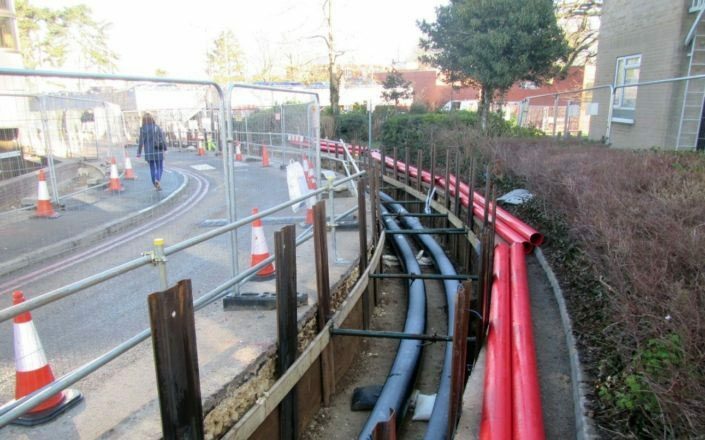 Three new HV electrical substations were constructed around the campus. 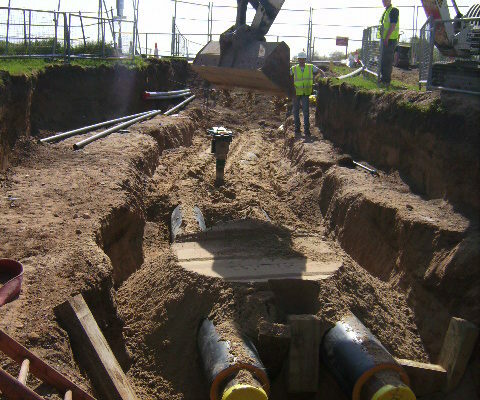 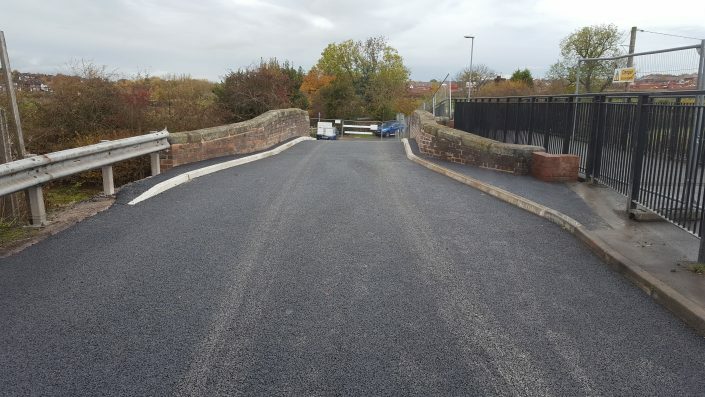 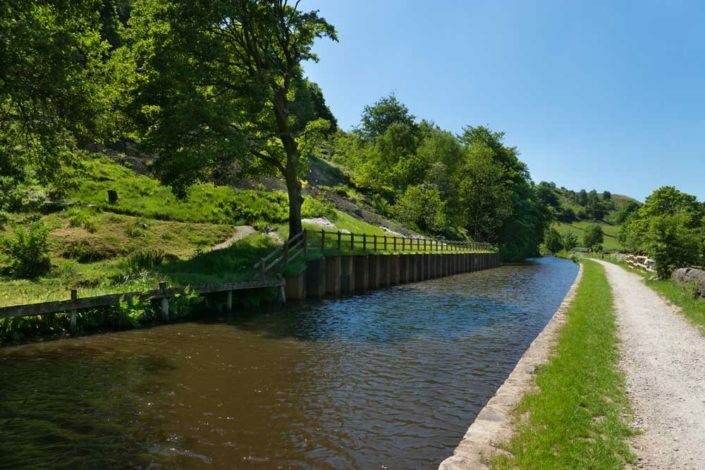 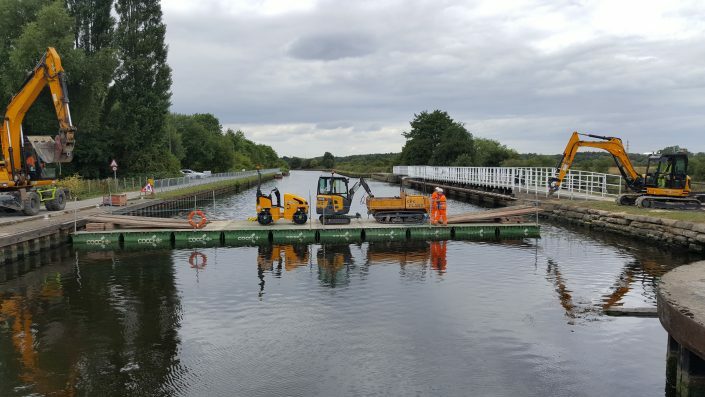 In addition to the above, new foul drainage from the cluster and the new Yorkshire sports village complex was installed at an average depth of 4m in very challenging ground conditions with dewatering wells pointing being required for the majority to cope with the running sand.